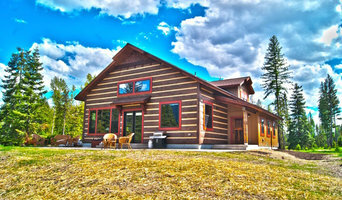 Edgell Building has long been recognized and respected as one of the premier home builders in Western Montana. Building a functional home that fits your family’s unique lifestyle is the goal Edgell envisions in each new home his team constructs. Located in the heart of Western Montana’s five converging valleys, Edgell Building was founded in Missoula, Montana in 1979. Edgell Building hosts a highly qualified and experienced staff offering full construction services. From planning and design, through project management and construction, Edgell Building will be with you each step of the process on through completion. An open door policy and total commitment to the client are values you can trust when you choose Edgell Building as your building Contractor. As with most construction companies, Edgell Building began small in 1979 when David Edgell started doing remodeling projects. Because of Edgell’s commitment to quality and craftsmanship, the company has grown to become a full-service construction company building houses in all price ranges. Whatever your home construction needs, put Edgell on your short list. Just ask one or more of our many happy clients about their experience. And check out our many building awards. And then give Edgell Building a call. Started in 2002 by Joe Jensen, Confluence Construction specializes in personal attention, expert planning and timely, detail driven construction. While the construction process is exciting, we understand that it can also be overwhelming. We respect that choosing a general contractor can seem like a leap of faith. Confluence Construction takes your trust seriously, guiding clients through each step of the construction process, from the initial estimate through the finishing touches. Our attention to detail extends to much more than simply making your project beautiful. We are able to incorporate the latest advances in building science into your project; advances in energy wise building techniques, newly available materials, and the constant improvements in mechanical systems to help make your project comfortable and much more energy efficient. We know that every good project is a labor of love and we would love to help you with yours. Bitterroot Timber Frames is located in Stevensville, MT. BTF brings the beauty and craftsmanship of the past together with the function and creativity of the present. From the smallest hand-crafted home to the largest log structures in America, Bitterroot Timber Frames specializes in expressing the beauty of wood in every timber and log. 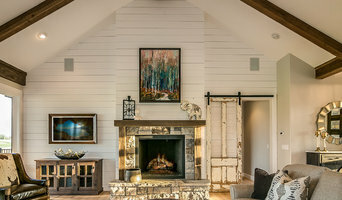 Bitterroot Timber Frame’s craftsman utilize decades of expertise to capture all the warmth and richness of a mountain cabin in every home they design and build. Because of its inspirational design, uncompromising commitment to quality and proven competitive pricing, Bitterroot Timber Frames has been chosen by owners, architects, and general contractors in virtually every geographic area in the U.S. At our 20 acre facility in Stevensville, Montana, craftsmen finish and pre-assemble the complex trusses and other framing. Frames are then broken down and shipped to various projects all over the US, from Connecticut to Southern California. We maintain a unique inventory of reclaimed, antique, and hard to find materials, including heavy timbers, siding, flooring, and interior or exterior trim materials. All is available for immediate shipment for your project. Please contact us to discuss your specifications. We will send you photos and descriptions of our inventory together with pricing. 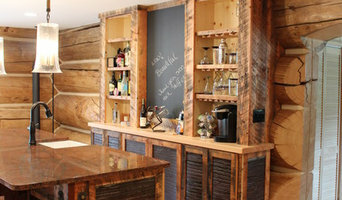 Specializing in the design and build of rustic mountain cabins. 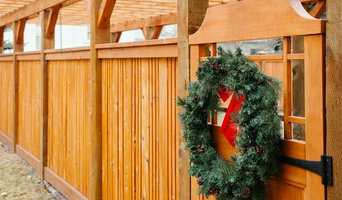 Summit Creek Inc. is a Missoula-based Design Build Company. Design Build is a method in which one company handles the project from start to finish, instead of multiple companies overlapping the design and building phases. Our company’s goal is to walk through the entire process with the client directly, saving time and money to construct a seamless project. Our in-house designer will meet to go over budget, needs and desires, scope of work and brainstorm with the client to create a space you can enjoy forever. Summit Creek leaves the client feeling comfortable and knowledgeable in all aspects of design, cost, build and warranty of their completed project. B Squared Specializes in, but is not limited to, the Design and Drafting of Accessible Residential Housing. Brad has 35 years of building experience, 15 years of which includes confinement to a wheelchair. He understands the need for zero step entry, space for turning and height accessibility of items, etc. Accessibility does not need to come at the expense of character. Our goal is to design/build your house to feel like home while at the same time incorporating those things that are specific to your needs. Our company was founded by a veteran team of timber frame experts and specialty metal artisans with years of experience providing best-in-class products to a discerning market of homeowners and businesses. It takes a special crew to timber frame. Our team’s unique difference comes from our deep understanding of modern structural standards, forged metalwork, woodworking, and a love of traditional joinery. We have committed ourselves to continual improvement, always refining our methods and studying industry trends. We strive for perfection on every project—all produced with our hallmark quality and uniqueness. BCDB is a design build company that specializes in natural building. In 2002 we started out as a timber frame and log subcontractor and added natural building and design in 2006. We specialize in zero toxic building practices such as straw bale with earthen plaster, solid wood construction, passive solar design and a holistic approach to integrating the property and the structures that sit on it. We also focus on contemporary, clean and fresh approaches to the ancient art of natural and sustainalble building. Pfiffner Design Build was created by two brothers in 2000. We are a small design/build company that specializes in traditional timber frame and log construction, custom doors, and specialty woodwork. Old world craftsmanship, traditional joinery, and enduring design are our hallmarks. Bring us your plans or just your dreams; We offer a full set of design and general contracting services. Our goal is to work with our clients to build a body of work that will be cherished for generations. Enjoy photos of our work by checking out our projects page. Charter Construction Inc., founded in 1998, provides a truly unique home-building experience. We turn our clients dreams into reality utilizing true in-house plan design and proven, modern construction techniques. Turning the building process into a fun and exciting experience is our goal. Our unique systems are designed to deliver our clients investment on time and within budget every time. We are certified Green-building professionals, providing many levels of green technology in our products. JM Moran & Company is a design-build contractor in Missoula, Montana. We strive to build exceptional residential, remodel, tenant improvement and commercial projects. Our success comes from positive collaboration with creative clients, and our talented crew of building professionals. Our staff has a long-standing reputation for excellence and we have the experience and resources to create the buildings you imagine. From modern steel structures to rustic Montana homes, JM Moran will work closely with clients, designers and architects to help create your project. Thank you for your consideration of JM Moran & Company. Shelter West, Inc. is one of Missoula's largest custom home builders. Being a custom home builder requires a level of service that we have strived to perfect over the years. With state of the art "design build" capability, we can build your dream home from the ground up, and eliminate many of the common concerns before construction begins. Our custom home portfolio speaks for itself, and we are always eager to show some of these homes. Any builder's signature is their finish work. At Shelter West, Inc. we have our own experienced finish craftsmen on staff. Since the 1995 Parade of Homes, every time we have entered a home, we have been honored with the award for the "Best Craftsmanship". We frequently encourage our customers to look closely to the detail in our homes because we believe that our dedication and quality finishes are second to none. Design-build firms take on the responsibilities of architects, contractors and construction companies, all under one roof. These full-service firms focus on a streamlined design-build process — from the initial design to the estimating phase to physical construction — in the hope of creating an efficient experience for both the client and the company. Because the entire project is happening within one company, Victor design-build firms are able to overlap the design and construction phases of the project, which often speeds up the project significantly. In addition, these firms work to minimize risks for the project owner through single-point responsibility contracts. However, depending on the firm, you may still want to contact an interior designer or architect to help create the exact look you want. Here are some related professionals and vendors to complement the work of design-build firms: Interior Designers & Decorators, Landscape Architects & Landscape Designers, Architects & Building Designers, Photographers. Before deciding on a residential design-and-build company in Victor, MT, think about what you want from your new home. Do you want a large kitchen for entertaining? Do you need several bedrooms for children and guests? Do you want a finished basement for extra space or storage? Look for Victor design-builders that specialize in the areas you're looking for. Budget is obviously a determining factor in the outcome of your project. To make sure you stay within your means, consider making a must-have list and a wish list. Gauge where the estimates are falling to determine which design-build contract can realistically strike the balance between the two. Find a Victor design-build company on Houzz. Narrow your search in the Professionals section of the website to design-build firms in Victor, MT. You may also look through Victor, MT photos to find a pool you like, then contact the design-build firm that created it.